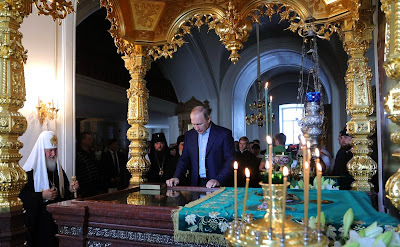 Visit to Naval Cathedral of St. Nicholas in Kronstadt. 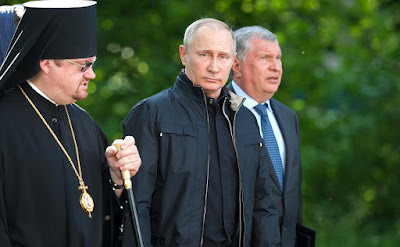 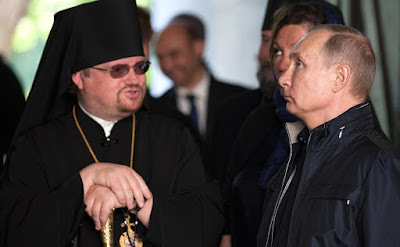 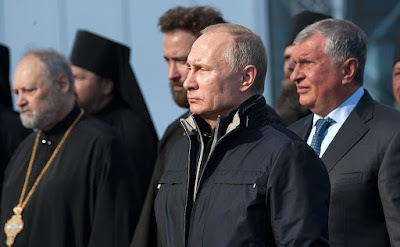 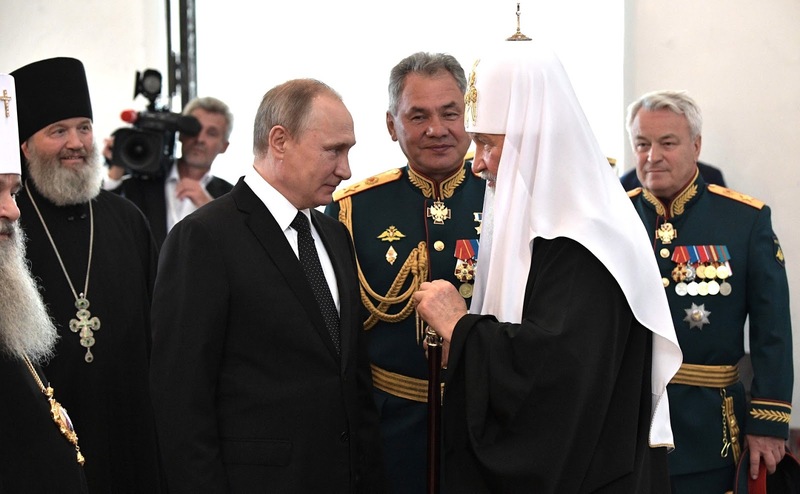 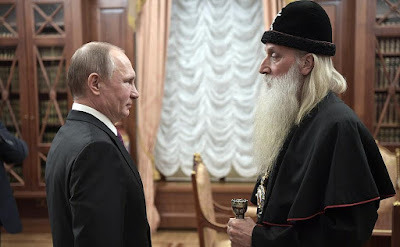 Vladimir Putin visited the Stavropegial Naval Cathedral of St. Nicholas in Kronstadt accompanied by Patriarch Kirill of Moscow and All Russia and Russian Defense Minister Sergei Shoigu. Vladimir Putin visited to the Naval Cathedral of St Nicholas in Kronstadt. The President toured the cathedral and spoke with sailors and Kronstadt residents there. 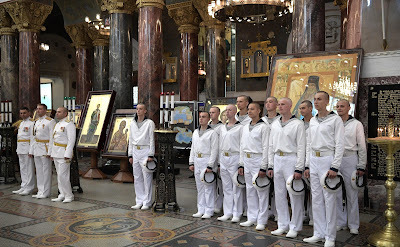 Ahead of Navy Day, on July 27, a shrine with the relics of Saint Blessed Warrior Fyodor Ushakov was brought to the cathedral from the Sanaksar Monastery of the Nativity of the Mother of God. This year marks the bicentenary of Ushakov’s demise. 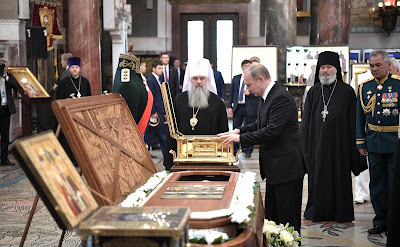 The President came up to kiss the relics of Admiral Ushakov and Apostle Andrew the First-Called. 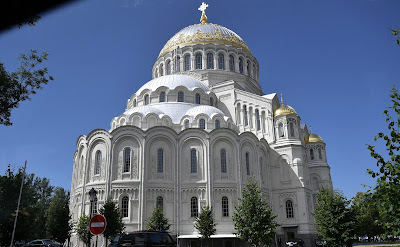 Naval Cathedral of Saint Nicholas in Kronstadt. 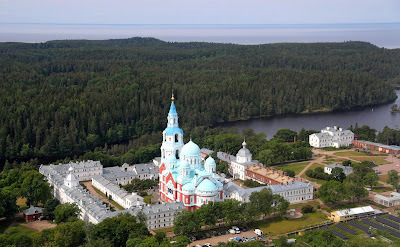 The Stavropegial Naval Cathedral of St. Nicholas was laid down in the fortress city of Kronstadt after Emperor Nicholas II’s 1903 decree in honor of the bicentenary of the Russian Navy and was blessed in Royal presence in 1913. 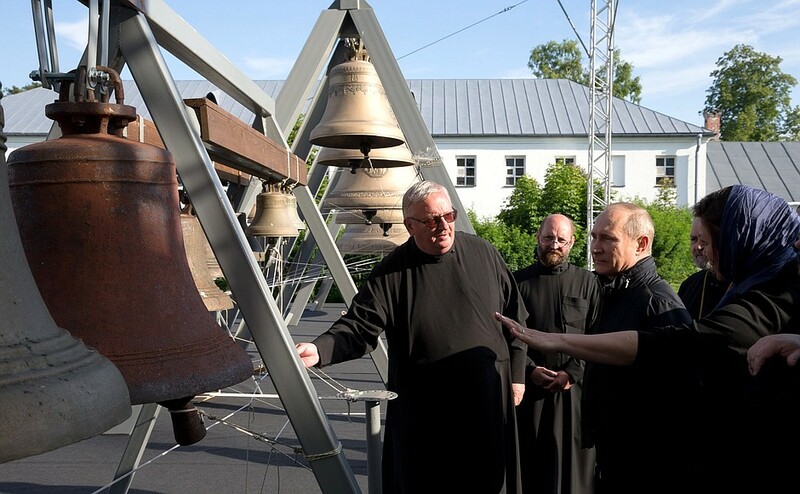 In 1929 the Cathedral was closed down and pillaged. 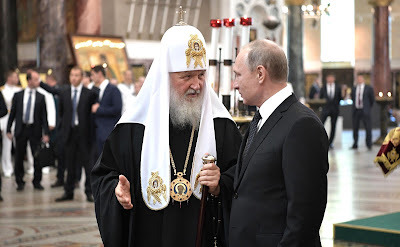 In 2002, Alexis II, the Holy Patriarch of Moscow and All Russia, blessed the resurrection of the Naval Cathedral in Kronstadt. Restoration works ran through the spring of 2013. The grand blessing of the cathedral was conducted on May 28, 2013 by His Beatitude Theophilos III, Patriarch of the Holy City of Jerusalem, and His Holiness Patriarch Kirill. 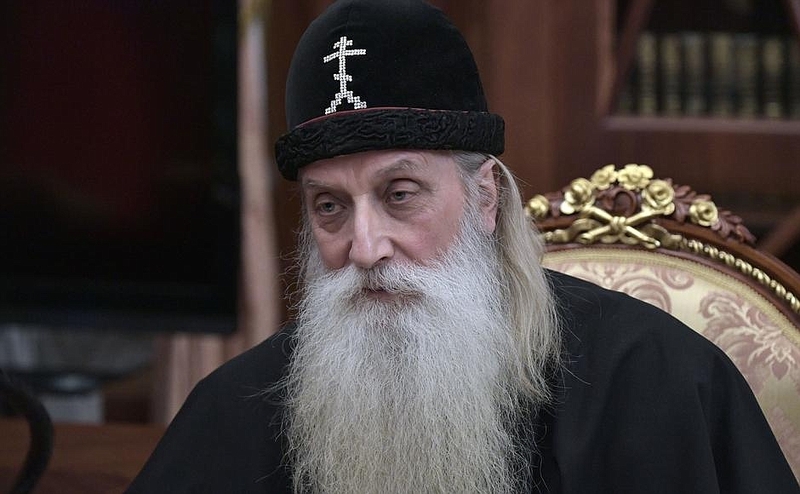 The abbot of the cathedral is Archimandrite Alexei Ganzhin. The cathedral is a UNESCO World Heritage site and is protected by the state. Naval Cathedral of St. Nicholas in Kronstadt. 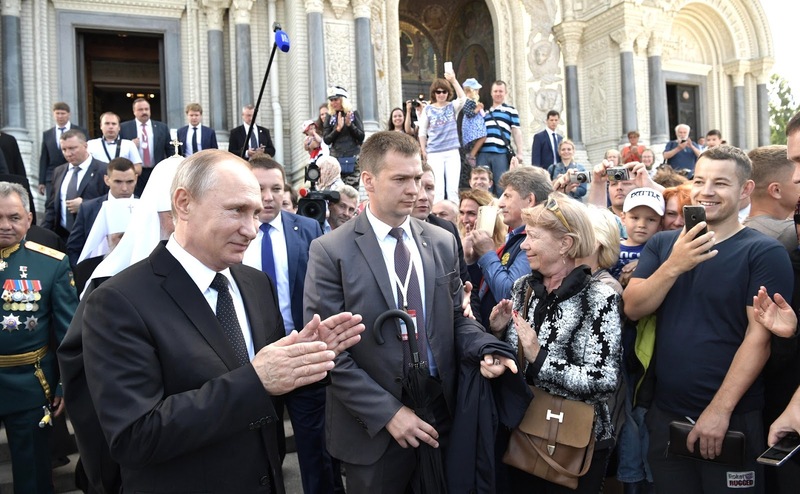 Vladimir Putin with Kronstadt residents after visiting the Naval Cathedral of St. Nicholas. Visit to the Naval Cathedral of St Nicholas in Kronstadt. 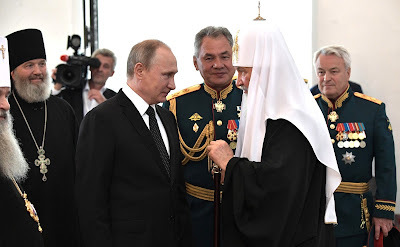 With Patriarch Kirill of Moscow and All Russia. 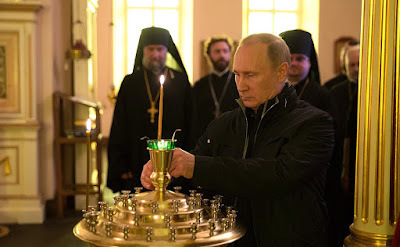 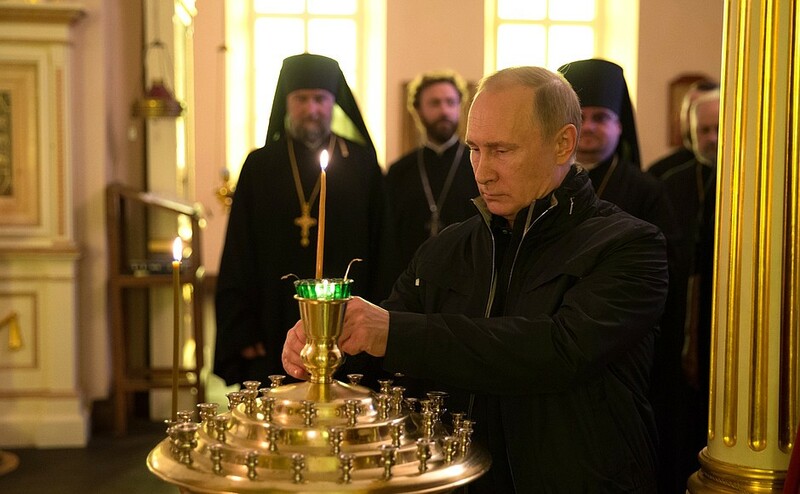 Vladimir Putin in the Naval Cathedral of St. Nicholas in Kronstadt. 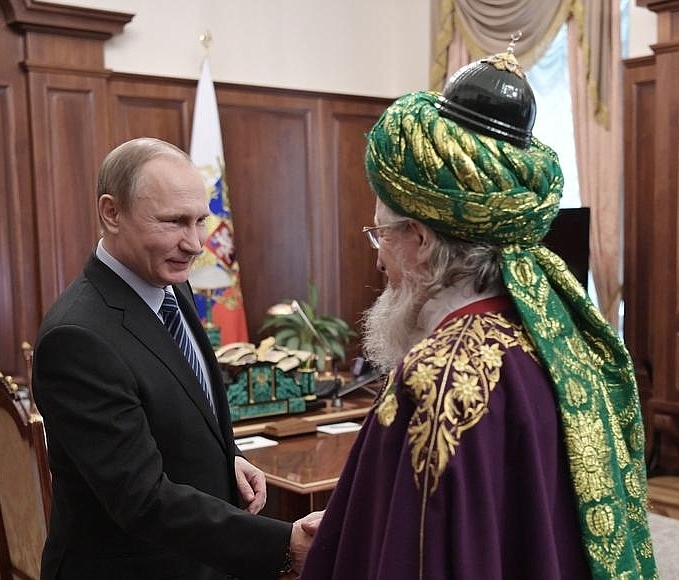 Russian President with Chairman of Central Spiritual Directorate of Russian Muslims Talgat Tadzhuddin. 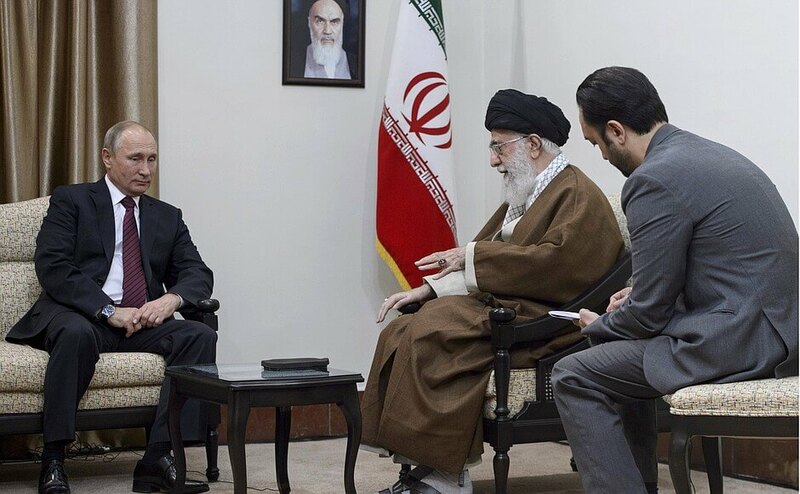 They discussed current issues of the Muslim community. 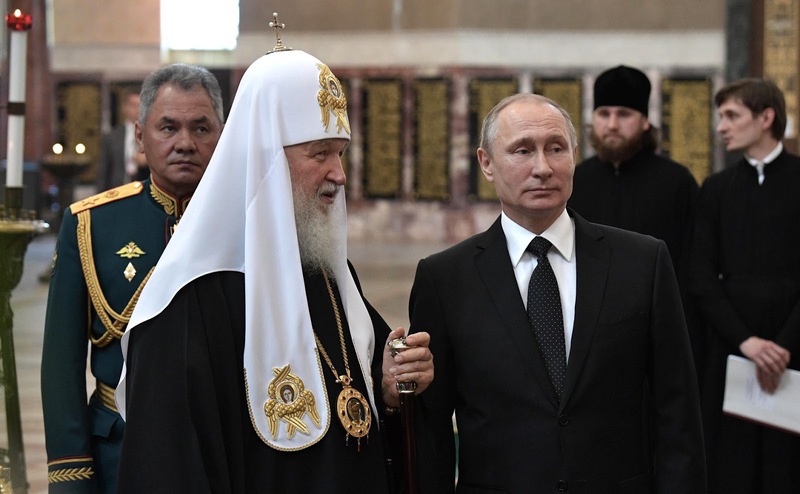 The meeting was held following regular communication between Russian President and representatives of Russian religious faiths. 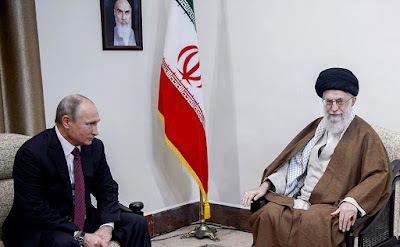 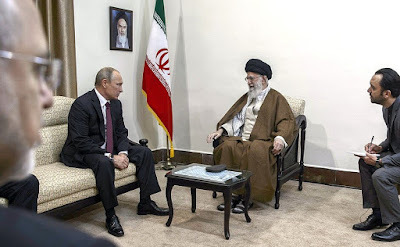 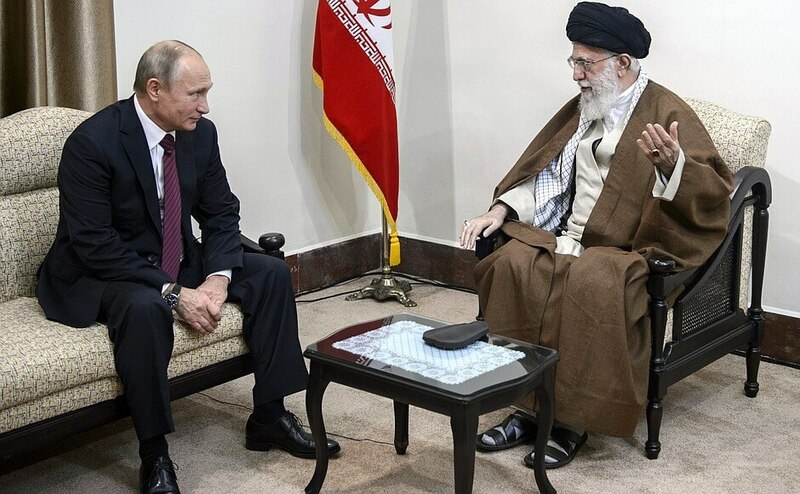 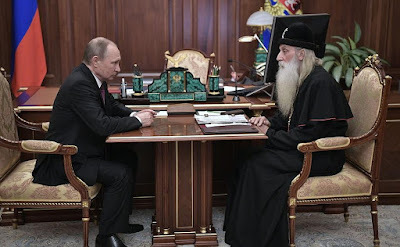 Vladimir Putin and Chairman of Central Spiritual Directorate of Muslims of Russia. 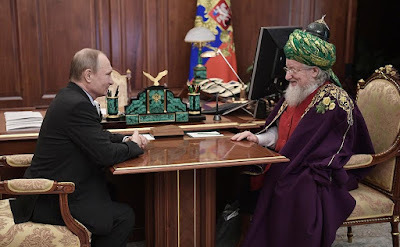 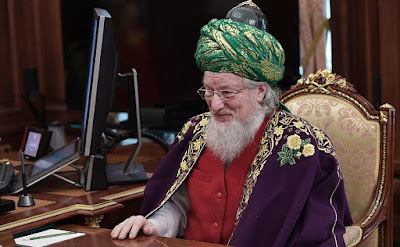 Chairman of Central Spiritual Directorate of Russian Muslims. 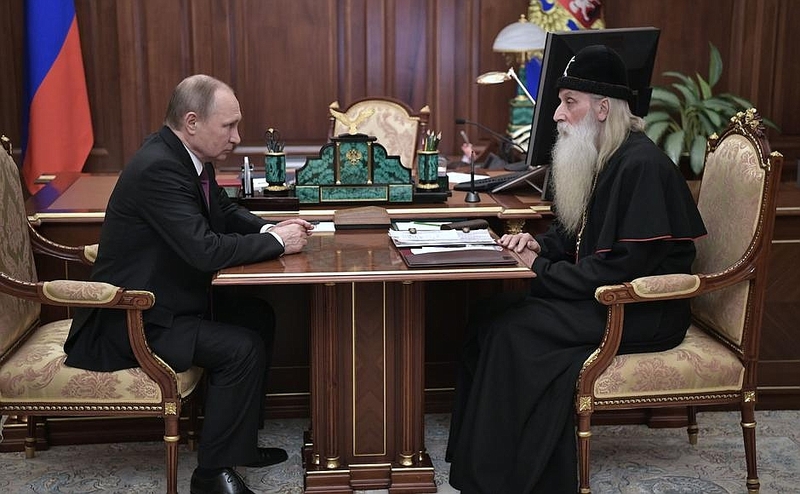 Meeting with Metropolitan Kornily of Moscow and All Russia. 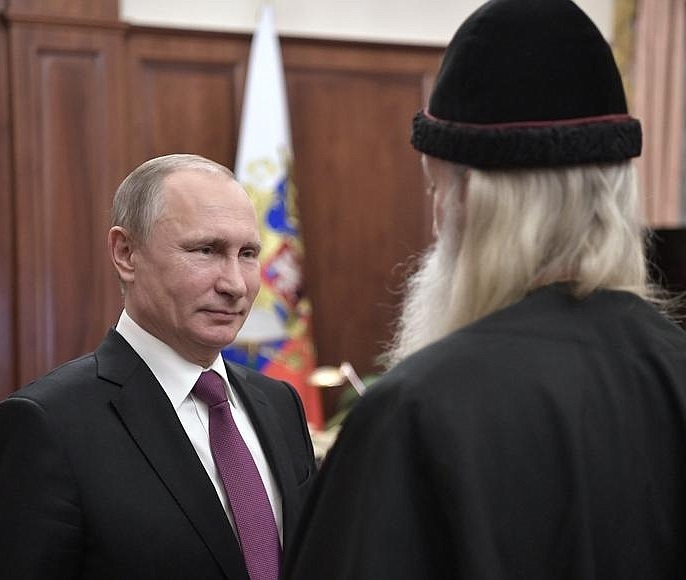 President Putin met with Metropolitan Kornily of Moscow and All Russia of the Russian Orthodox Old-Rite Church. 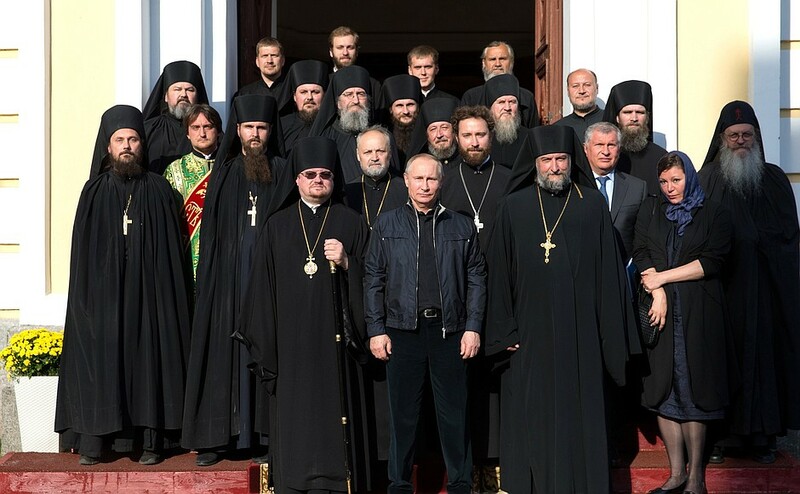 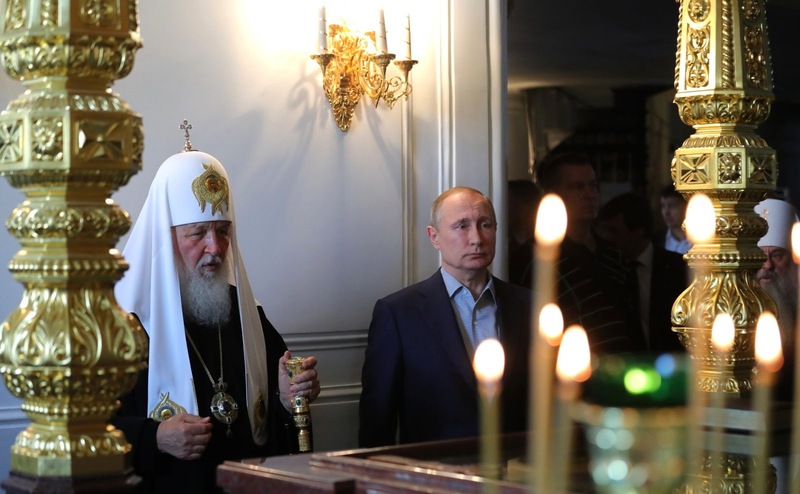 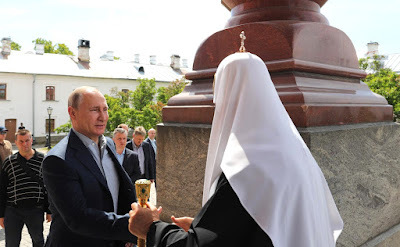 Vladimir Putin with Metropolitan Kornily of Moscow and All Russia of Old-Rite Russian Orthodox Church. 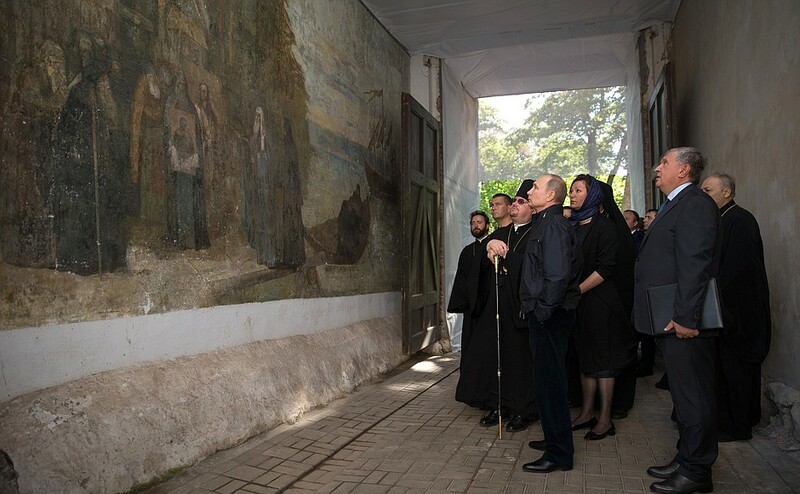 The discussion focused on matters related to the life of the Old-Rite Church, its activity and prospects for its development. 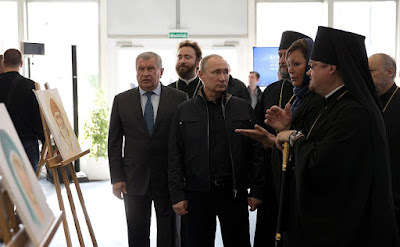 Russian President with Metropolitan Kornily of Moscow and All Russia of Old-Rite Russian Orthodox Church. President Putin with Metropolitan Kornily of Moscow and All Russia of Old-Rite Russian Orthodox Church. Metropolitan Kornily of Moscow and All Russia of Old-Rite Russian Orthodox Church.